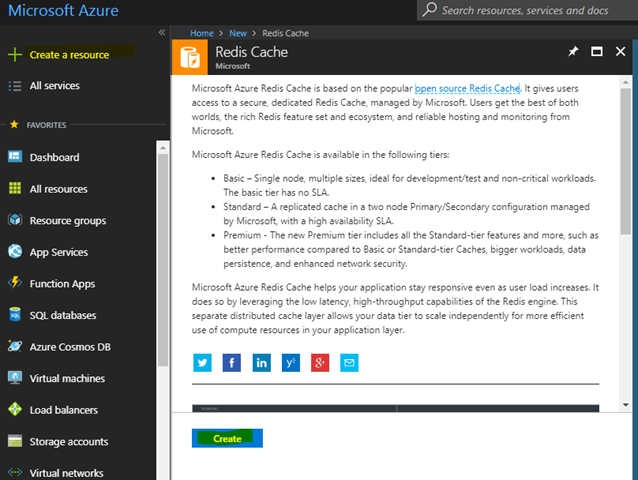 Azure Redis Cache – Microsoft Azure Articles..
Azure provides the popular Redis Cache service in all the service plans. Redis Cache is an Open Source caching framework. Its popularity among developers made Azure adapt it and available to Azure development platform. Highly Secure Redis cache provides better security than traditional caches. Better Data Structure Redis Cache provides storage of cache as key-value pair as strings, hashes, lists, sets and sorted sets. Persistence Redis Cache allow persisting data into database. 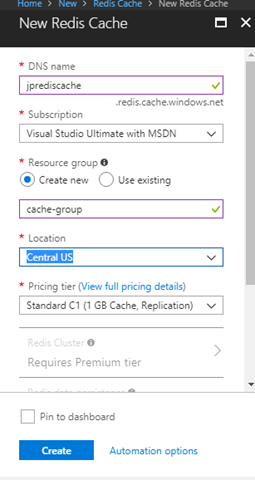 Open Azure Portal and choose Create a resource option. 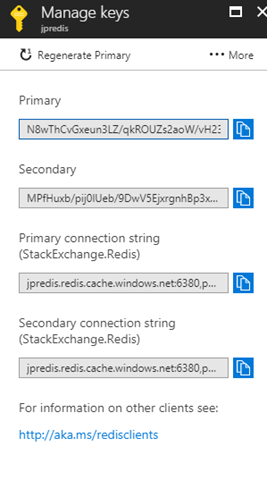 Search for Redis Cache and you will get the following option. In the appearing window we can specify the cache name. You can get the Access Keys from the Azure Portal window. In this post we have explored about Redis Cache.